Packed with color photos, this newly updated guide offers dozens of itineraries that show you how to see the best of "Stumptown" in a short time--with bulleted maps that lead the way from sight to sight. 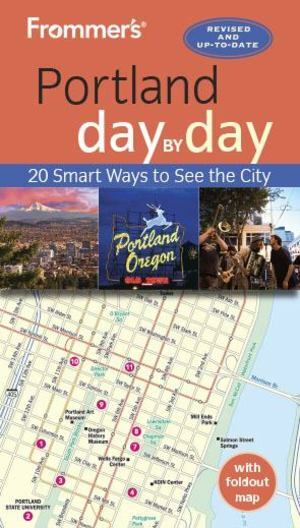 Featuring a full range of thematic and neighborhood tours, plus dining, lodging, shopping, nightlife, and practical visitor information,Frommer's Portland day by day is the only guide that helps travelers organize their time to get the most out of a trip. Author Donald Olson is a long-time resident of Portland, and a widely published author, both on travel and gardening. Inside this book you'll find: Full color throughout with scores of photos and dozens of maps Sample one- to three-day itineraries that include Portland with Kids, Rainy Day Portland, Offbeat Portland, and more A thorough discussion of side trips to the Willamette Valley (Portland wine country), the Columbia River Gorge, Mt. Hood, the Hood River, and the Oregon Coast Star ratings for all hotels, restaurants, and attractions--all to clue readers in on great finds and values Exact pricing so there's never any guessing A tear-resistant foldout map in a handy, reclosable plastic wallet, as well as bulleted maps throughout. About Frommer's: There's a reason that Frommer's has been the most trusted name in travel for more than sixty years. Arthur Frommer created the best-selling guide series in 1957 to help American servicemen fulfill their dreams of travel in Europe, and since then, we have published thousands of titles became a household name helping millions upon millions of people realize their own dreams of seeing our planet. Travel is easy with Frommer's.